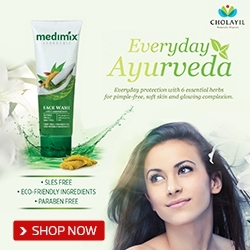 Medimix has launched a new face wash at a pocket friendly price. The face wash boasts of being paraben free, soap free and made up of eco-friendly ingredients. 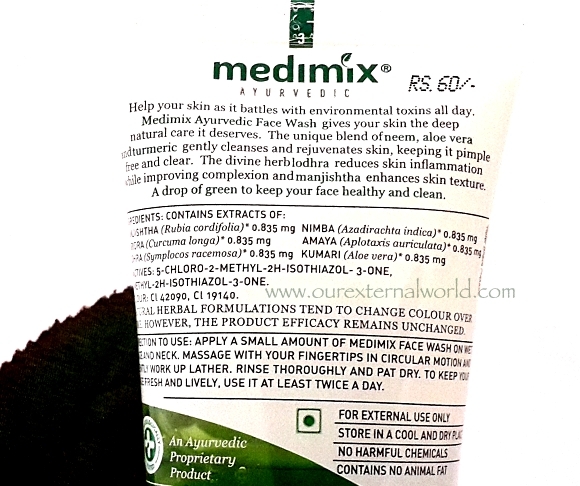 The face wash from Medimix is made up of 6 essential herbs of neem, aloe vera, turmeric, lodhra and manjishtha. While neem helps battle acne, turmeric acts as a natural anti-septic for the skin. Aloe vera helps provide moisture to the skin. The herb lodhra is said to reduce skin inflammation and improve skin complexion. 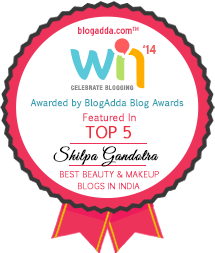 Manjishtha helps improve the skin texture. All in all these 6 herbs packed together in this gel based face wash provide deep cleansing and nourishment to the skin. 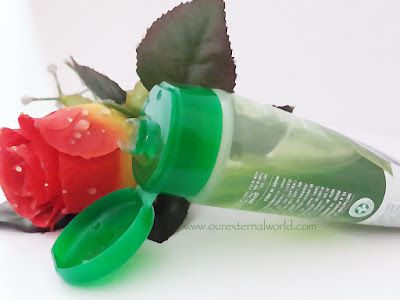 The face wash comes in a transparent tube with flip cap. The face wash is gel based and is pale green in color. As you can see in the swatch it almost looks clear. 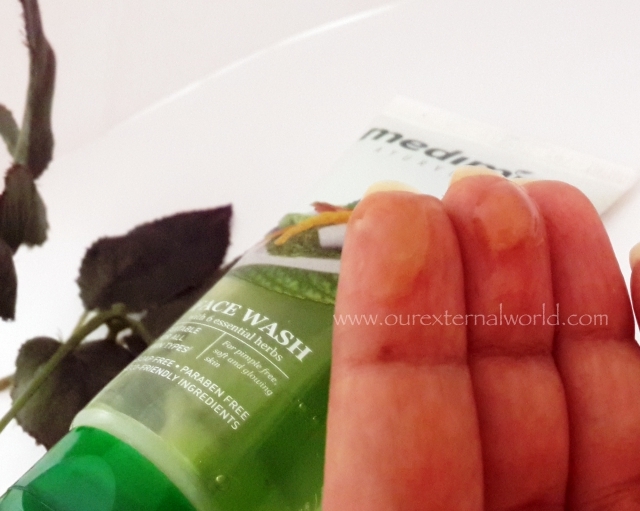 I have been using the Medimix Ayurvedic Face wash for over a week now. It reminds me of the Himalaya Herbal neem face wash. The face wash lathers well and washes off easily. I am able to remove my makeup as well in one go. For waterproof eye makeup an additional makeup remover is needed. The face wash does not leave the skin dry or parched. 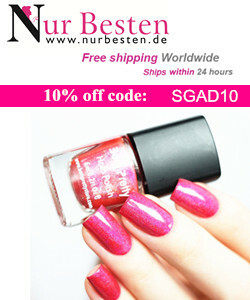 It is suitable for all skin types and specially useful for girls who have acne prone skin. 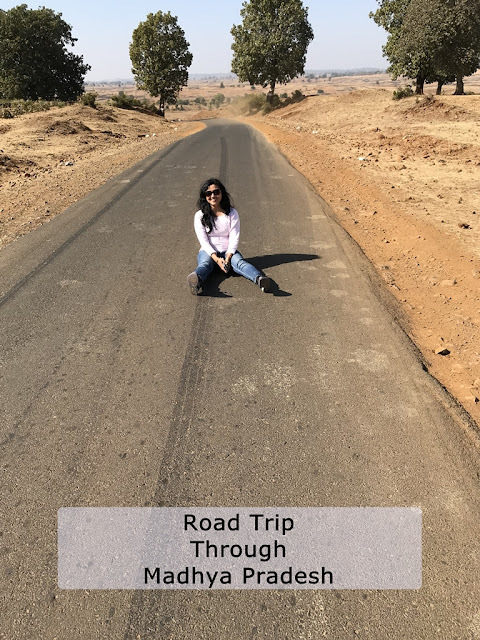 The humidity and current climate make it a must have so do try it out. 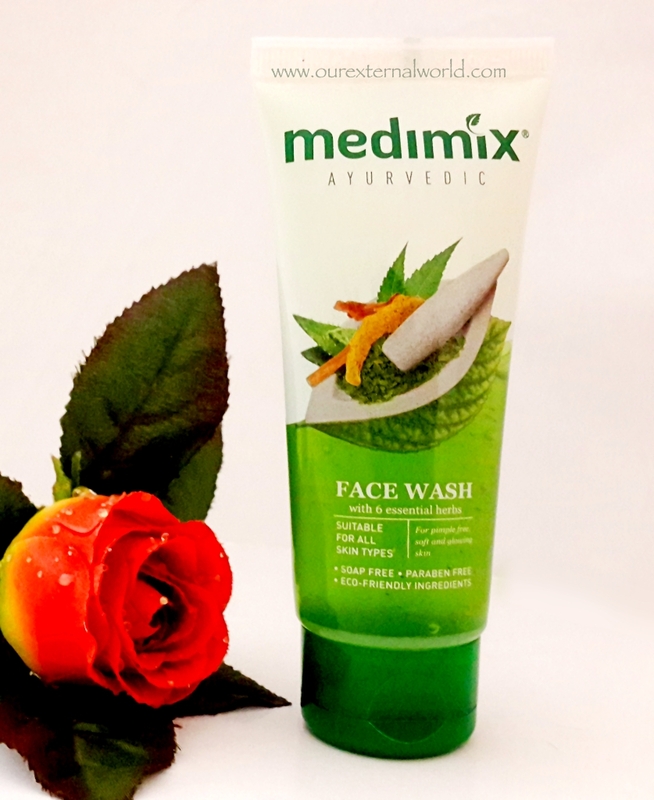 Don't forget to tag Medimix when you try out this face wash - you can use the hashtag #MedimixAyurvedicFaceWash with your experience! Is there anything turmeric cant do? this sounds nice! i like trying out new face washes! I am reading so many good things about turmeric. This stuff sounds great. The sound really great. Thanks for sharing it. 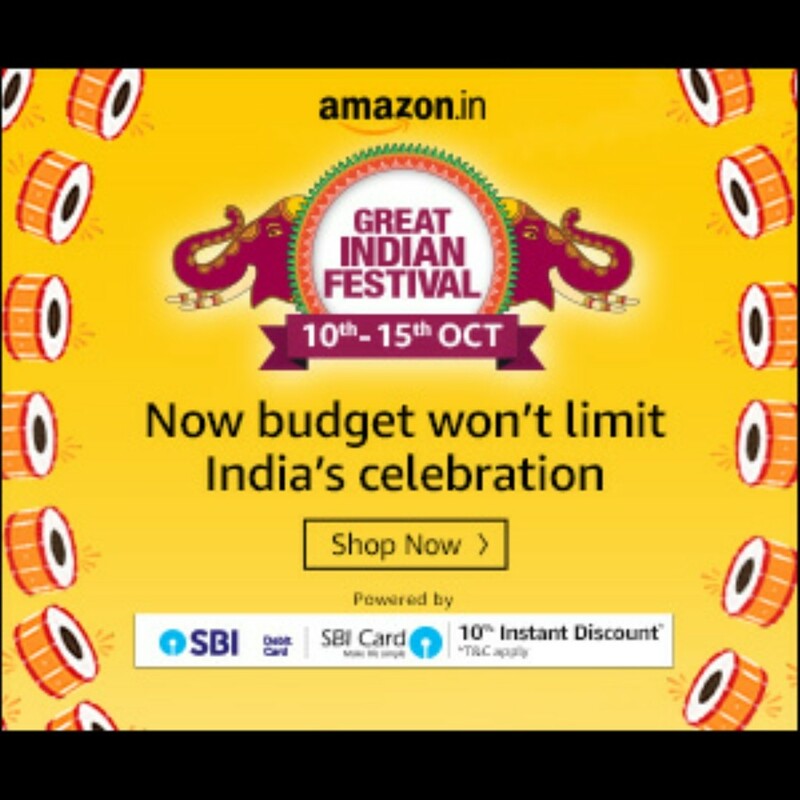 Yes most of the people has used this product and got best result ever. Nice Blog, I think ayurvedic herbal products is great helpful for our body and there is no harmful for our body and i recommended ayurvedic herbal products is more helpful for our basic life. Another essential acne treatment skin care tip is to pick and utilize beauty care products cautiously.cialis dosage There could be a need to supplant a few beautifying agents you use while under acne prescriptions.